At Huntley Wealth Insurance, we are the experts at helping men find affordable term life insurance at age 41 to 45. If you’ve been searching for the best price on the internet, we hope this will be where your search ends. It’s so very important for you to do your research and I can help you target the best life insurance, click here for more information. We offer a variety of term and whole life insurance policy options from over 30 top rated life insurance carriers, so there’s no need to go from website to website getting new quotes. Just use our instant life insurance quotes form on the right, and search for the best price from dozens of carriers whom we represent. $500,000 term policy for Preferred Plus Non Smoker. Our allegiance is to you as an independent broker, which means we find the life insurance company willing to offer you the best deal, and that’s who we submit our application to. For example, we used many companies to provide the level term quotes above, including Banner Life Insurance, Genworth Life Insurance, and Ohio National. If you’re a male age 41 to 45, there are no restrictions as to the type of coverage you can purchase. 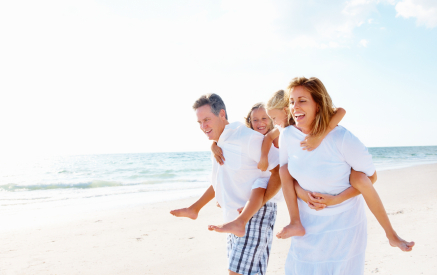 We offer a range of policies from 10 year term life insurance to level term policies for 25 or 30 years. If you need coverage longer than that, we also offer two types of permanent coverage: whole life and universal life insurance.